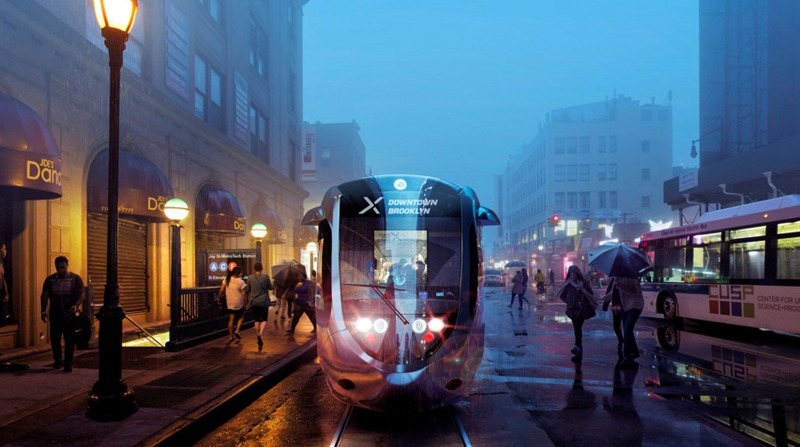 Although Mayor de Blasio’s proposed BQX project, which would connect the Brooklyn and Queens waterfronts via streetcar, received praise from many, finding money to fund it may be tougher than expected. Earlier this month, a leaked memo obtained by the Daily News laid out a tough assessment of the construction logistics and financial problems facing the project. And while the mayor admitted last week that his plan for the BQX to be self-funded through tax revenue from higher real estate values may not pan out, an article in Crain’s laid out an idea for the city to sell air rights in the Brooklyn Navy Yard neighborhood to raise money for the project. The shortfall of cash for the project leaves the mayor with the decision to either reduce the scope of the BQX or find a different way to increase its revenue. The city found that an increase in real estate values can be tied to a property’s proximity to the streetcar. With more residences built close to the streetcar, the more real estate tax revenue the city can earn. 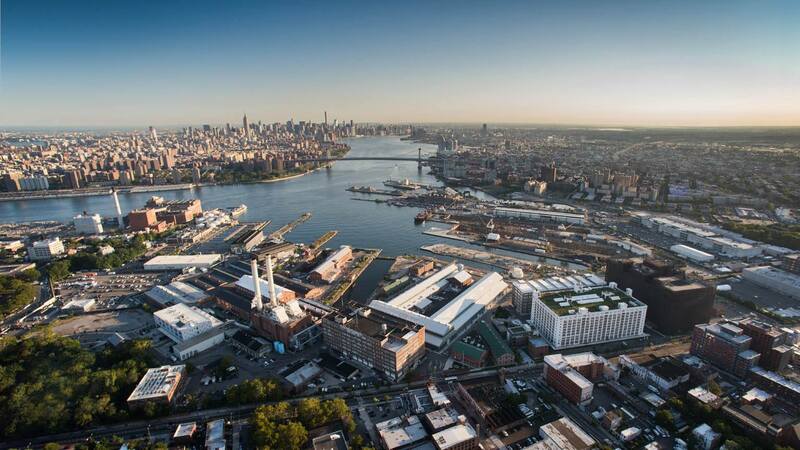 Taking cues from neighborhoods like Long Island City and Williamsburg, Crain’s said the city should encourage developers to build high-rise waterfront residential towers in the Brooklyn Navy Yard, which is owned by the city. The waterfront community of the Navy Yard has transformed from an industrial powerhouse into a spacious, cheaper alternative to Manhattan, with its refurbished shipyards and warehouses. With a Wegmans supermarket and 60,000-square-foot food hall, the neighborhood continues to attract New Yorkers. The BQX streetcar could be another compelling reason for people to move there. Notably, the Navy Yard has about 15 million to 20 million square feet of development rights. Air rights let landowners sell any unused development rights to nearby lots, and then those new rights owners can build the greater density desired and exceed height and setback requirements. Meaning, if the city decides to sell those air rights to owners of the adjacent properties, perhaps enough money could be raised for the transit project. The amount of money needed to be raised to construct the mayor’s promised BQX project remains unknown, as a full analysis by the city is still pending. But one thing is true, the one way to raise real estate tax revenue in New York City is to build upward.